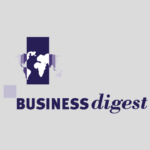 Business Digest was at the #VivaTech fair held last week in Paris. We’ve picked out for you the seven key tech trends that made a splash at the event. Truly revolutionary, or over-hyped gadgets? Tell us what you think! 1/ Humanoid robots: what’s the point? 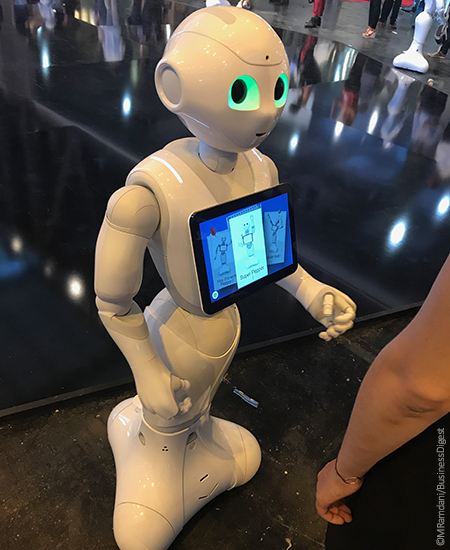 On entering the fair, the visitor is greeted by “Pepper”, one of the diminutive robots produced by French firm Aldebaran (now part of Softbank). While huge progress has been made in terms of emotional intelligence (the robot detects humans, holds out a hand in greeting and tries to strike up a conversation, employing plenty of body language), it’s still hard to see what use it serves. Apart from providing some basic information and amusing the visitor for a couple of seconds, I’m still at a loss to identify the real value added. The Engineered Arts stand featured another robot, this one able to change its face thanks to a hologram system, and to recite Shakespeare. Impressive as such but, once again: what’s the point of it? Just about every stand (and particularly those of the big tech groups) was handing out virtual reality headsets for visitors to try. On the LVMH stand, in particular, VR allowed me to plunge into the world of brands by way of “360° experiences’’ (ads, actually). Here, once again, the applications for this technology seem fairly unconvincing. While the value of VR is clear from the point of view of pure entertainment (cinema, video games, and so on) or fashion (L’Oréal, for example, was offering make-up testing), it is hard to see why so many businesses in areas where the technology has no immediate applications are all scrambling to climb on the bandwagon. “Digital washing” anyone? According to a McKinsey report, investment in AI doubled between 2015 and 2016 to hit $30 billion. A number of stands provided an excellent panorama of what you can ask a machine to do nowadays. 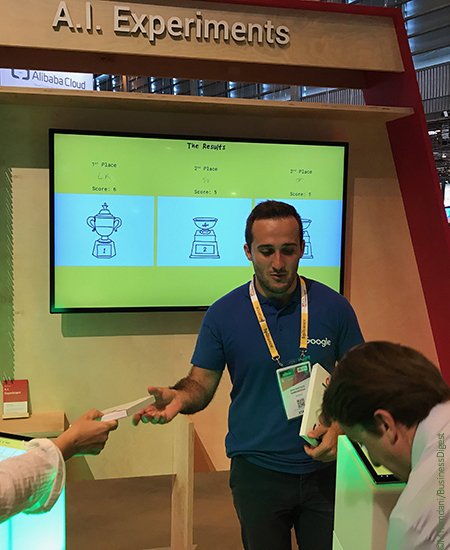 Google, for example, used a series of fun activities to show us technology capable of recognizing complex shapes, colors and so on. It might not sound like much, but this is a key issue for the US giant, which expects to see a revolution in how users will soon be searching for their information. In addition to voice assistants, we will increasingly be relying on our phones to provide us with information on our direct environment. This will require AI capable of analyzing the data sent from our phone camera, of course, and that’s something the Mountain View corporation is actively working on. Over at Facebook, Sheryl Sandberg (via live video link from California) confirmed that AI will be “the next big thing” for translation but also for identifying content containing hate speech. 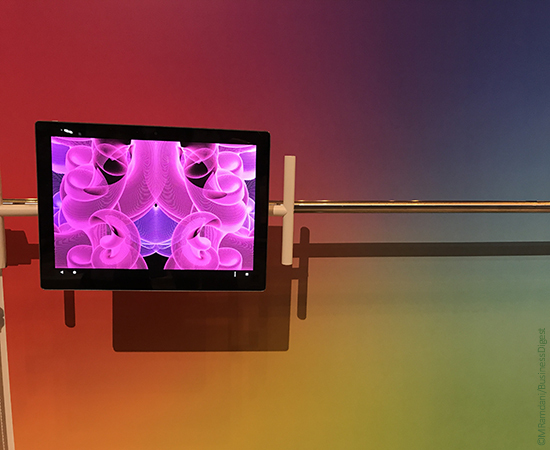 Toujours chez Google, la machine est ici capable de distinguer des couleurs complexes. In these days of connected objects and big data, how do we ensure the security of the data we share? How do we guarantee privacy when we live increasingly connected lives? Some firms are beginning to address the problem. Among them is a small French firm known as Lima, which offers ordinary members of the public the change to create their own Cloud, 100% hosted at home and not on servers on the other side of the world. The advantage over solutions such as NAS is that installation couldn’t be simpler: connect a small box to your Internet box linked to a hard disk, install the applications on your various devices, and you’re done. 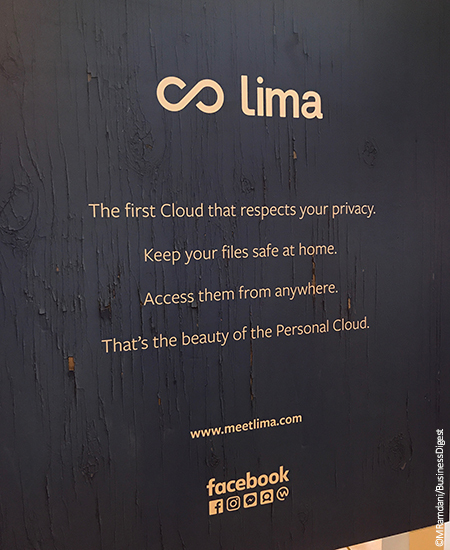 Irony alert: Lima enjoys the backing of… Facebook. Remember all those articles (mine included) from four or five years back, hailing the miracles of 3D printing? The ones announcing that every home would soon be able to produce any everyday object for itself? Well, even if 3D printers for personal use never really took off, 3D printing is very much a reality for industry. Energy provider Engie, for example, is already using 3D printers to produce certain stainless steel parts for its machine tools. The firm saves on the cost of storing spare parts, but also on machine downtime, since it takes just a matter of days to print and ship a spare part (compared to what may be as much as several months via a traditional manufacturing process). 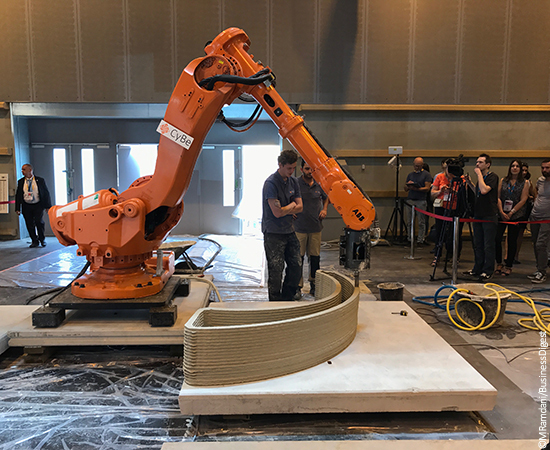 Bouygues Construction offers another highly practical use of industrial 3D printing, using a rather strange machine to design concrete building sections on the construction site itself. 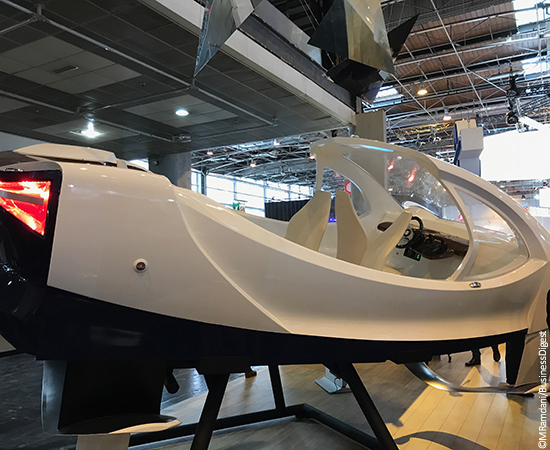 Star of the show in the “City of Tomorrow” category was SeaBubbles, the French startup setting out to reinvent urban mobility with a new take on river transport. Their solution for getting around the city is “bubble cabs”, small 100% electrically powered river taxis seating up to four people. The first in situ trials will be held on the Seine in September. Also in the realm of eco-cities, the big construction groups seem to be making real efforts. Bouygues Energies & Services with its Citybox intelligent public lighting network, for example, and Colas, with its Wattway solar road. Another interesting trend as regards the city of tomorrow is urban agriculture, as represented by Agripolis, a startup aiming to revolutionize our relationship with food in the city by promoting organic, eco-friendly and low-cost food production, “where the consumers are”. 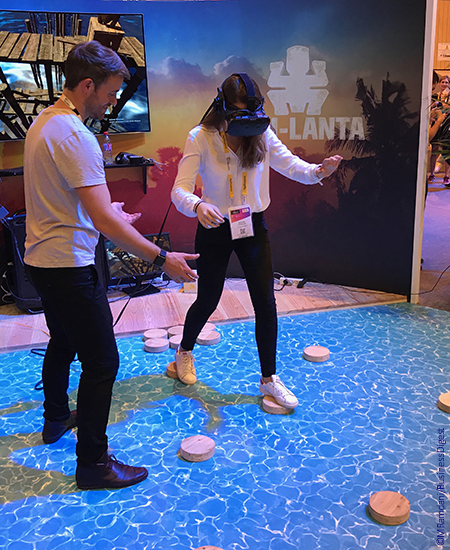 Smarter, stronger, healthier… The first outlines of the human being of the future have begun to take shape at VivaTech. Startup Kernel is developing neural implants capable of treating neurodegenerative diseases, and even (in the long term) of programming the human brain to boost its capacities… Exciting or terrifying, depending on your point of view! Among the pharma giants, we note the shift towards e-health announced by Sanofi, which has already developed a mobile app that allows diabetics to calculate their insulin dose in real time, coupled with a medical telemonitoring service (already approved for reimbursement in France). 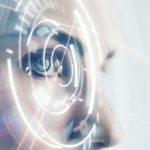 The French group also announced the launch by the end of this year of 39BIS, a laboratory devoted entirely to connected health. 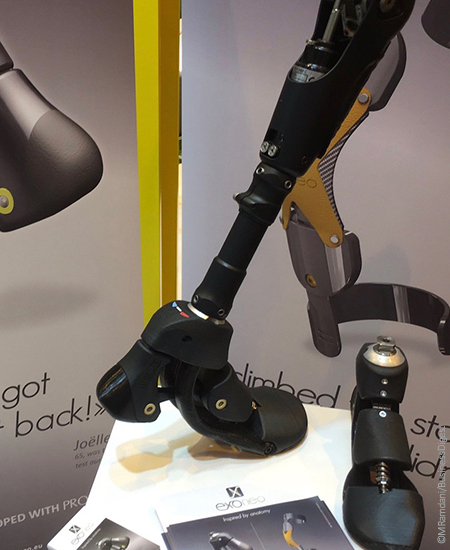 And no mention of health and technology would be complete without hailing the incredible work done by Exoneo, a French startup that could change the lives of millions of disabled people around the world thanks to their prosthetic feet and knees.